Mrs. Gilliam had a fat dog. Her name was Polly, a liver and white basset hound, and her ears hung as far down to the ground as her pink belly, which carried so much weight the fur was rubbed raw at the flesh from dragging the gravel driveway when she walked. How these lines came to me is the magic of writing, of putting words down on the page from memory, and watching the seemingly unrelated connections take place as the synapses fire off in the brain. It’s been twenty years or more since I last thought of Polly. I loved that fat dog—and she was fat, no doubt about it . . . painfully fat. Polly always came to my house when I was a kid, and she’d roll over on her side so I could rub her belly; then afterward, like a turtle flipped on its shell, Polly struggled mightily to get back up on her legs because of her weight, and so I’d help her up, and all the while she’d take deep breaths sucking in air from the endeavor. I added a new chapter “Welcome to Phenix” that I’m still fleshing out. This is entirely brand new to the story. Anyway, as I was writing about the basketball court in Phenix back in the 1980s, I was reminded of Drew Daubenspeck’s laugh. The only way I can describe it is to say Drew’s laugh was like a white person trying to do an impersonation of Eddie Murphy’s iconic laugh. Except, when Drew laughed, it sounded more like Snarf from Thundercats. Thinking of Drew, or “Droopy Drawers” as was his nickname, I was reminded of Erik Gilley, who went by Gilley, a bear of a guy who was one of the nicest people I’ve probably ever met in my life. I didn’t even know Gilley had a first name (Erik) until years later. He was just “Gilley” to us kids. Even though I was a solid decade younger than Gilley, he would always pick me on his team to go up against grown men on Sundays at the basketball court in Phenix in the early 1990s. Also on his team: Drew, hereby referred to as Droopy. So, you may be wondering, what does this have to do with Polly? Two connections fired off in my brain as I was writing this scene in the story. The first was the name Gilley which led me to Mrs. Gilliam (because of the similar sounding name), who lived down the street from me. 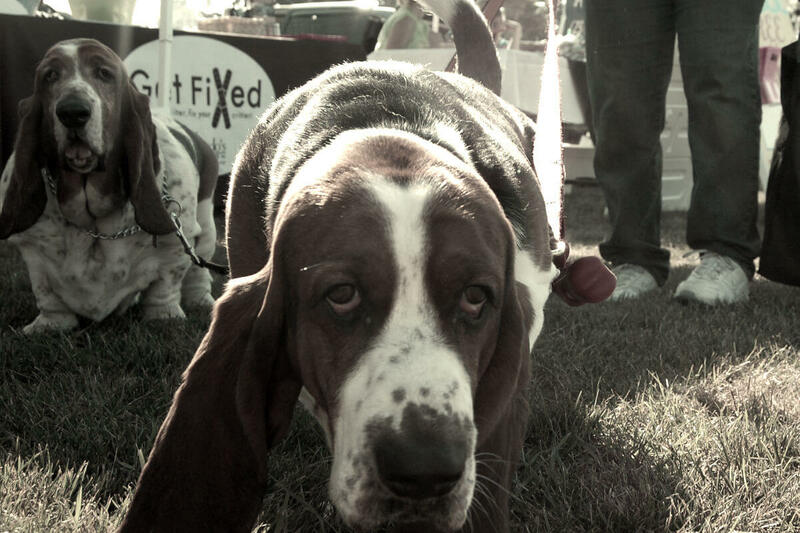 The second was Drew aka Droopy, which led me to Polly, a basset hound, and yes, who was Mrs. Gilliam’s dog. Quite the ladies’ dog and hornball to say the least. That’s what I love most about playing on the page, writing. You never know where it’ll lead you. Sure, these are throwaway lines in the story mostly because they don’t necessarily fit into the greater narrative (though I’m exploring footnotes for my digressions). Regardless, it was fun to unlock the door of memories that exists within my mind and wander down the spiral staircase. Droopy’s laugh always cracked me up being that I was raised on Eddie Murphy by my dad. And in hearing Droopy’s laugh, I can see him lifting the brim of his hat and wiping the sweat from his forehead like a third base coach giving signs to the batter standing at home plate. My guess is he still does this twenty some years later. Some habits stick. If you haven’t checked it out lately, take a look at the story. Maybe you’ll find yourself or someone you know in a scene or two. What I’ve come to realize is this story will be many things: a story of friendship, a story of escape, and a condensed history of small town America (e.g. Phenix, Virginia) in the 1980s and 1990s. It was a different world back then in so many ways. When the Lights Go Out at 10:16 is transforming into something more than planned. I’ll describe that in detail in a future blog. Right now, my focus is on the book and less on the blog—but good news for you because you can read the book as it’s being written on my blog. I’ve really enjoying writing it lately. Joy. That’s a good word to describe it. You made me remember Polly too. Her ears nearly dragged the ground with her belly! You’re welcome, and thank you for stopping by. Your recent story “The water that took them away” brought me to Polly! Polly was a fat dog! When I worked at Mikes Polly always came to visit and when she left us off to The Hamletts she went for her daily sausage egg and cheese biscuit. Thank you for a much need smile! Thanks for reading Anne. Yeah, Polly had some weight on her, didn’t she? Her daily exercise was hitting up all the local businesses and homes around town in search of food. That’s the life. I loved that dog. She certainly made my day! Polly was definitely loved by many. !